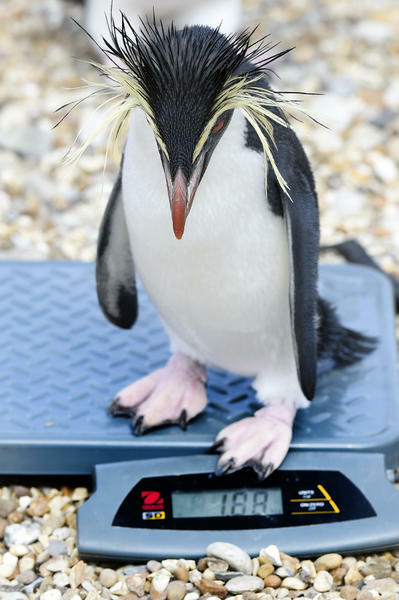 Keepers at ZSL Whipsnade Zoo have carried out a huge scale operation as they encouraged thousands of animals to step onto the scales for the Zoo’s annual weigh-in. 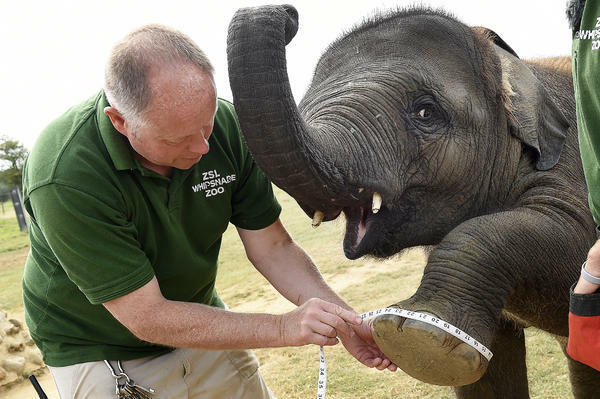 As part of their regular check-ups, all creatures great and small - from giant beetles and plucky penguins to sprightly meerkats and gentile elephants - were enticed onto specialist scales of varying sizes in order for keepers to check their vital statistics. Young Asian elephant calf, Sam, who will turn two years old in September, tipped the scales at an impressive 714kg, while the Hercules beetle – one of the world’s strongest insects and able to lift up to 850 times its own body weight – was recorded at 4.5g. Logging the statistics of the Zoo’s residents, many of them on the IUCN’s Red List of Threatened Species, is vital to ensure the health and wellbeing of each animal can be closely monitored by keepers throughout the year. 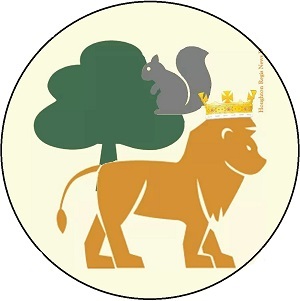 The animals’ measurements are recorded into the Zoological Information Management System (ZIMS) where they are shared with zoos around the world and used to compare information on thousands of endangered species. With more than 3,300 animals at ZSL Whipsnade Zoo, a range of inventive techniques were used to encourage the animals to stand up and be measured, from training the elephants to lift their huge feet to coaxing the meerkats onto the weigh-board with tasty insect treats.